Patanjali starts the Yoga Sutras saying Yoga is NOW. Eckart Tolle sold a billion copies and gained global recognition for a simple idea, ‘The Power of Now’. 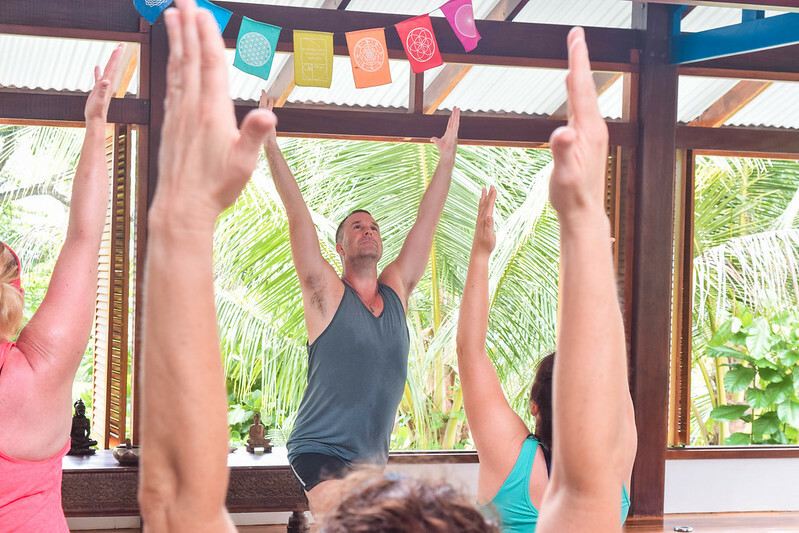 There is a hugely important aspect of life ingrained in the present moment, and being present is the precedent to the four qualities of a great yoga class. A person practicing physical asana yoga but not in the present moment will be more prone to injury. I had a student years ago who was having trouble at home with her husband. She was clearly distraught and thought yoga would help. During the class, I noticed she was consistently out of the vinyasa and not completely present. Halfway through the class, she did not ground herself properly during a downward dog and strained her back. She went home in pain and I felt for her. She had learned the valuable lesson that yoga must be practiced in the NOW. We need to cultivate a joyful acceptance of the present moment. If we are in the past we can easily slip into thoughts of regret. If we focus on the future we often experience anxiety or unnecessary expectation. This is the beauty of a yoga practice; we become disciplined in an activity that promotes our consistent presence in the world. We better perceive the world, and subsequently, our reactions and actions are clear and willful. Regrets and anxieties disappear as we live our truth in the present moment. My wonderful teacher Rod Stryker introduced the first three qualities to me years ago. The first one is Tapas. When I first started practicing yoga with intention, I immediately noticed that it was “burning” all the attachments that consistently caused me so much suffering. Sitting in meditation for hours I would hear my ego complaining, but noticed that after some time it would fade away. This is the essence of Tapas, and it can be experienced through meditation or asana practice. The origin of this kind of Tapas can be traced to Patanjali and his Yoga Sutras which lists it as a virtuous practice. In Patanjali’s contemplations, Tapas is a high form of self-discipline that “burns” the desires created by the ego. In my understanding, if practiced mentally and physically it purifies the mind and the body. Try holding Warrior 2 for nine minutes, I guarantee you will be ready to take on any challenge after that! The next quality of a great yoga class is Vinyasa Krama. Vinyasa Krama, which means wise sequencing, comes after Tapas because one needs to appreciate the value of sitting in the fire before they can understand that movement is a part of that fire. My favorite kind of yoga to teach incorporates Vinyasa, which beautifully uses Krama to experience breath together with movement. This combination helps yogis experience Tapas wherever they need to in their bodies. Sometimes deeper levels of practice elevate new kinds of Tapas, this is the beauty of personal evolution, this is why yoga is so helpful. In Sanskrit, Krama is defined as “succession”. This makes sense to me. When we begin practicing yoga there are many poses that seem almost impossible to perform. It takes consistent effort and practicing movements that precede the more difficult ones. In this way, yoga is a wonderful metaphor for our personal lives. If we start a business venture, for example, we cannot jump right into a multimillion-dollar enterprise. It takes perseverance and progression to get there. We may barely make ends meet for some time before we experience profit. This is the same with asana and meditation practice in yoga. Vinyasa Krama, wise sequencing, is the art of doing something step by step or in stages. This makes the process much sweeter as you overcome hurdles and feel your body and mind at higher levels. The next quality of a great Yoga class is Smarana, or as it’s known in some parts of India, Simran. In essence, it is the remembering that one experiences which sets into motion the personal transformation and growth someone experiences through yoga. It is remembering the higher aspect and purpose of your life, remembering God, and maintaining this remembrance throughout daily life. It can often be connected to the act of meditating on God or something spiritually great and inconceivable. This is something that I love to advocate with anyone who experiences my Yoga Teacher Trainings. With the amount of Tapas and Krama that a person endures, the act of Smarana becomes much easier to experience. In a way, it is not just remembering but also surrendering to a higher power. Even a scientist must concede that there are natural laws which remain mysterious. The appreciation and attention to these divine natural laws are Smarana. I added my own fourth quality of a great yoga class. I loved what Rod taught me, but found that over the years the importance of community was invaluable. As humans, we strive to be part of meaningful communities. We form communities around sports teams, TV shows, and even restaurants. There is a basic need in humans to be a part of a community. This is where the Sanskrit word “Sangha” comes into being. In Yoga, we practice Sangha the moment we step into a yoga class with 25 other sweaty human beings. If the yoga teacher follows the first three rules, the class easily becomes a close-knit community without one word exchanged. This is because everyone is sharing the fire, breathing into movement, and connecting with the divinity within themselves. This connection is powerful. It leads to students coming back to classes in the future, consciously or subconsciously aware of the experience of Sangha. The community associated with yoga is one based on self-development, which distinguishes it from other more materialistic communities. Sangha is transformative because it helps individuals open their minds to new perspectives in the safety of a group that respects authenticity. After teaching yoga for many years I have seen that these four qualities make a yoga class something incredibly powerful for anyone to experience, with any kind of background. 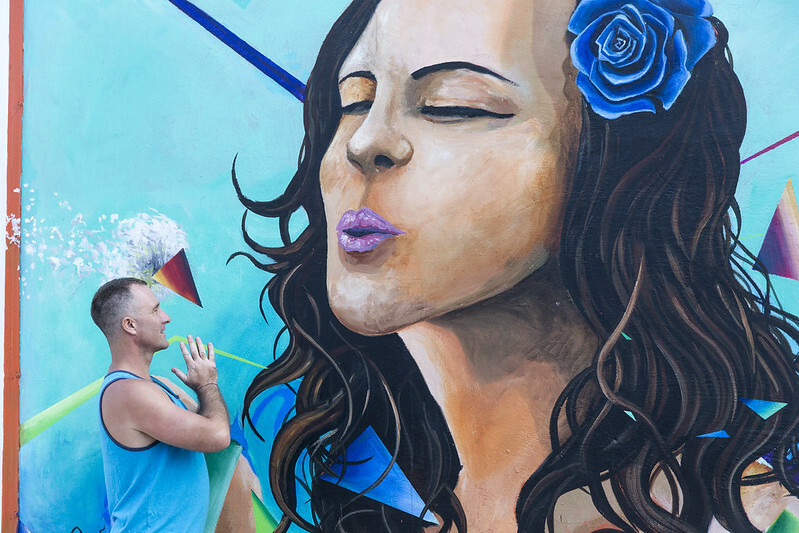 When yogis are aware of these principles they are able to go back to wherever they come from and create spaces that nurture other human beings. That is my intention. For me, yoga is a means for a deep realization so we can collaborate and celebrate life together!